On Visions 2018, we celebrate Black History Month. We learn about a little-known Philadelphia Civil right leader Octavius Catto and visit the Marian Anderson Museum in South Philly. We profile Temple University's 1st Rhodes Scholar and we show you how the 76ers are spending their summer giving back to students in Camden. Plus from we feature several Black-owned businesses in the region and announce a new partnership with a music legend Kenny Gamble to put on a parade celebrating the Juneteenth Holiday. Remembering local hero Octavious Catto. Tamala Edwards interviews Authors Daniel Biddle and Murray Dubin of the Octavius Catto biography. Rick Williams tours the South Philadelphia home turned museum of world renowned vocalist Marian Anderson. Rick Williams tours the former South Philadelphia home now turned museum of world-famous vocalist Marian Anderson. Open Monday through Saturday, 10 a.m.-4 p.m.
Meet Temple Rhodes Scholar Hazim Hardeman. We meet Temple University's first Rhodes Scholar, Hazim Hardeman. Financial literacy and healthy eating are the focus of these two. Chris Banks started the non-profit called 'Banksgiving" to teach financial literacy to middle school students. The 'Mood Girls' organization helps introduce healthy eating options to teen girls. Three meditation tips to de-stress for the holidays. Christie Illeto visits New Health and Fitness Vitality Meditation on Frankford Avenue, to learn how to relieve stress and achieve mindfulness through meditation. Ducis Rodgers shows us how the Philadelphia 76ers are building community in Camden through their annual basketball clinic. Brennon Jones is changing the face of homelessness and giving many a new look. He gives free haircuts to those in need and is making it his mission to shed light on the homeless across the nation. Skin by Ame is a natural, organic skincare line founded in Philadelphia with roots in Ghana, West Africa. Spice things up this Valentine's Day. Melissa Magee visits 'The Spice Rack' in Chestnut Hill. A shop with over 250 spices. 6abc will be the media broadcast sponsor of the 2018 Juneteenth Parade and Festival this upcoming June, created by Philly music legend Kenny Gamble and the Philadelphia Community of Leaders. 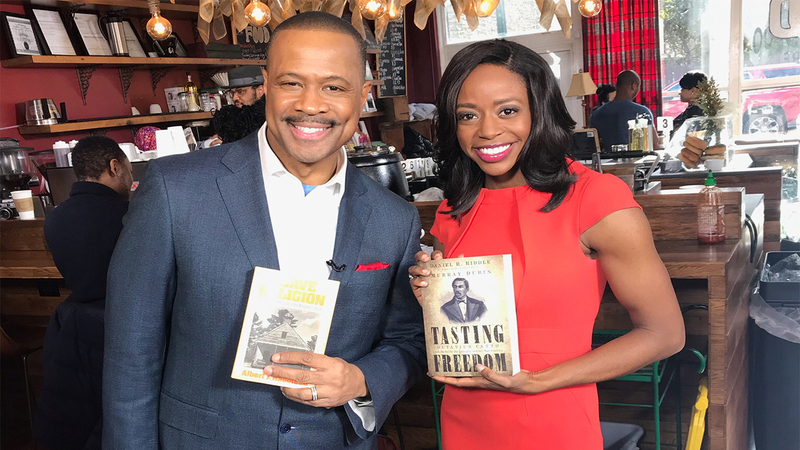 6abc honored independent African-American owned media companies making a difference and empowering their community in print, talk radio, independent film and the digital sphere. Honorees included: The Philadelphia Tribune; The only African-American owned talk radio WURD Radio; The BlackStar Independent Film Festival; and MyNEWPhilly.com.